Moana, (which I haven’t actually seen, don’t shoot me!) has captured my heart even without seeing the full movie. A story about Pacific Islanders, of darker skins deeply resonated with me. I grew up with stories of Maui, the Hawaiian Superman, I love the ocean and its as much a part of me as everyone who lives in the Pacific. 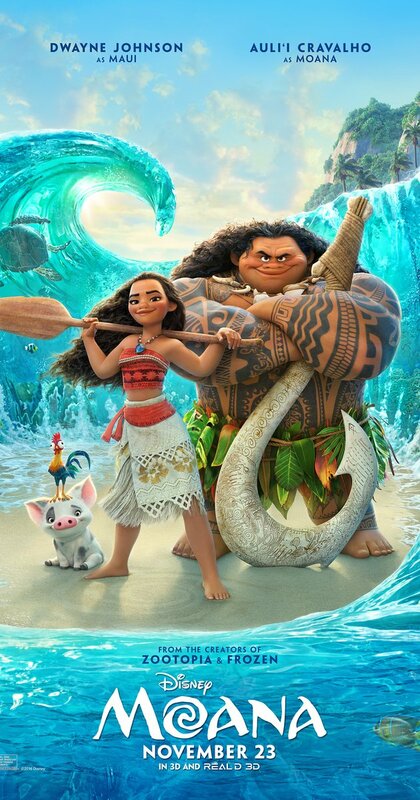 What makes this movie even more meaningful is that Disney took the time to recruit and cast individuals of Pacific Islander descent to play the leads. Dwayne Johnson grew up for a short time in Hawaii and is Samoan. And the lead, Auli’i Cravalho is a 16-year old girl of Hawaiian descent from Hawaii! 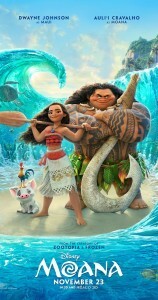 The lead production team traveled across the Pacific learning about the nuances of the various peoples from island to island and incorporating those values into the stories, the characters and songs of the movie. Opetaia Foa’i is a Samoan musical artist who wrote beautiful songs in Samoan and with the values he grew up to keep the authenticity of Moana. Its so exciting for me to see this culture and story inspired by the islands I grew up in can be shared across the world, with those who haven’t had the chance to visit the Pacific, to know these peoples. Representation matters. **As of spring break I SAW MOANA and cried many happy tears and emotional tears, connecting with the trials and tribulations of Moana, Maui. And a joy for Auli’i and all the artists who contributed to make Moana authentic!